Question: How Do I Stop Squash Vine Borers? We get a lot of gardening questions from our members via email, instagram, facebook, and our website’s livechat feature. To help out other members (and other gardeners) who might have the same questions, we’ll answer some of the most common questions that we get right here on our blog. Yes, we provide a lot of pest & disease information in each one of our members-only GrowGuides, but it’s impossible to list out every pest and disease problem our members might encounter, especially considering that we have members in nearly every US state, Canada and Puerto Rico. As you may know, each growing region has its own peculiar pests and diseases, as does each geographical area. This week, Matt in Greenville, South Carolina (our hometown!) asked us a question that a lot of you might identify with. Matt said he’d lost quite a few squash plants to squash vine borers and to find out if there is anything he can do to prevent future losses without resorting to harmful synthetic chemical poisons. If this is a problem you’re experiencing or would like to prevent, we hope the info below is helpful! Photo: A nice pile of summer and winter squash from Tyrant Farms. Context: What Are Squash Vine Borers? If you’re a new gardener or are lucky enough to live in an area of the world where you don’t have squash vine borers (like the west coast USA), you might not have any idea what a squash vine borer is. Squash vine borers (Melittia satyriniformis) are the larvae of an attractive orange and black sesiid moth that is active during the day. Like squash plants themselves, squash vine borers are also native to the Americas. They’re pollinators, but they have the unfortunate habit of laying their tiny copper-colored eggs on squash plants, which then hatch after 9-11 days, at which point the larvae chew their way inside the plant’s stem and eat it to death. A single adult female borer moth can lay up to 150 eggs in a season. Due to their similar appearance, many people mistakingly assume the adult squash vine borer moths are in the wasp family. Here’s how you know you’ve got a squash vine borer: one day you have a healthy squash plant and the next day you walk outside to find a plant that is limp and collapsed. You check the ground and the soil is plenty moist. You give the plant a gentle tug at its base to see if something may have eaten its roots (such as a vole) and it’s still firmly in the ground. Then you notice small holes in the leaf stems and/or the main stem of the plant with brown frass around the opening, indicating that something has chewed its way inside. Usually, once the squash plant has gone limp from damage, there is no way to bring it back. This experience can be heart-breaking, especially if you’re relying on a small number of squash plants for a yield. Squash vine borer eggs on the top side of a squash leaf. Image CC licensed courtesy of Raleigh City Farm. Apply an OMRI certified Bacillus thuringiensis (aka “Bt”) spray on the leaf stems and main stem of the plant (not the flowers). Here is a great Bt product you can buy. Bt is a naturally occurring bacterium found in soils around the world, and research indicates that it is virtually harmless to non-target species (hence its approval for use in organic farming). If you spray Bt on the stems and leaves of your squash plants once per week (or more if there’s a lot of rain), the squash vine borer’s eggs or larvae will be killed quickly, long before developing into adult moths. Many organic farmers use this method and it may be the most effective way to deal with borers and other squash pests such as squash beetles. You can even inject Bt into the stems if the larvae have already bored into the plant but the plant is not yet limp. To further minimize any potential harm to pollinators (just in case the current science proves to be wrong), spray the plants as late in the evening as possible when daytime pollinators begin to go inactive, and avoid directly spraying the flowers. Keep the main stem of the plant covered with mulch as it crawls along the ground. This method helps prevent the adult Squash Vine borer moths from laying eggs on the stems. If the larvae bore into the main stem area of the plant, it doesn’t take them long to kill the plant. 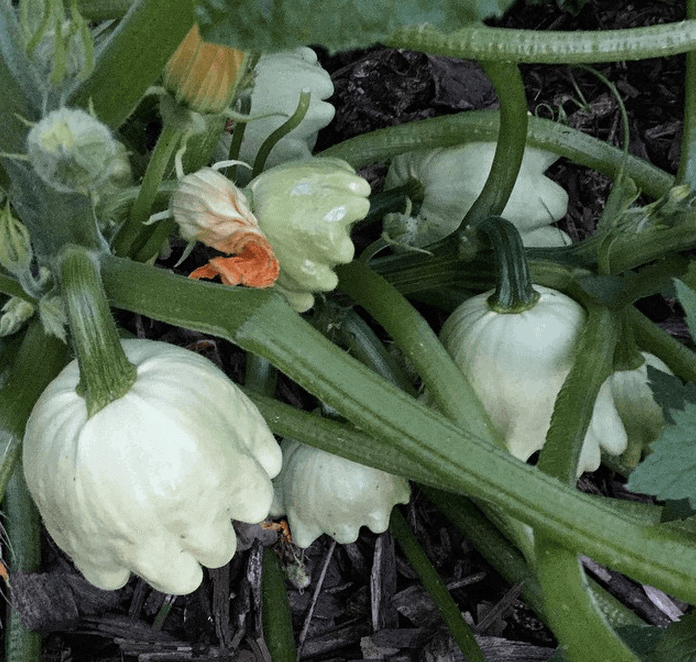 This method also helps the vining and crawling squash varieties set new roots along their stems as they grow, so that the plants can continue to support new growth even if they have been infected by a squash vine borer further down the stem. If you go this route, also be sure to keep a careful eye on the leaves of your squash plants, since borers also lay eggs on the leaf stems or undersides of the leaves. The eggs are small, round, shiny and copper-colored, very similar in appearance to “squash bug” eggs (Anasa tristis). The difference is that squash bugs lay multiple eggs in very tight clusters whereas borers will often only lay a single egg in one spot, or if laying multiple eggs, the eggs won’t be as tightly clustered. If you see either type of egg on your squash plant, remove them by hand immediately and “smush ’em” (scientific terminology for squishing them between your fingers) or drop them into a cup of soapy water. Also, if you see one leaf on your plant has gone limp and the others have not, this is a good indication that the limp leaf has a borer inside, especially if you spot an entry hole. 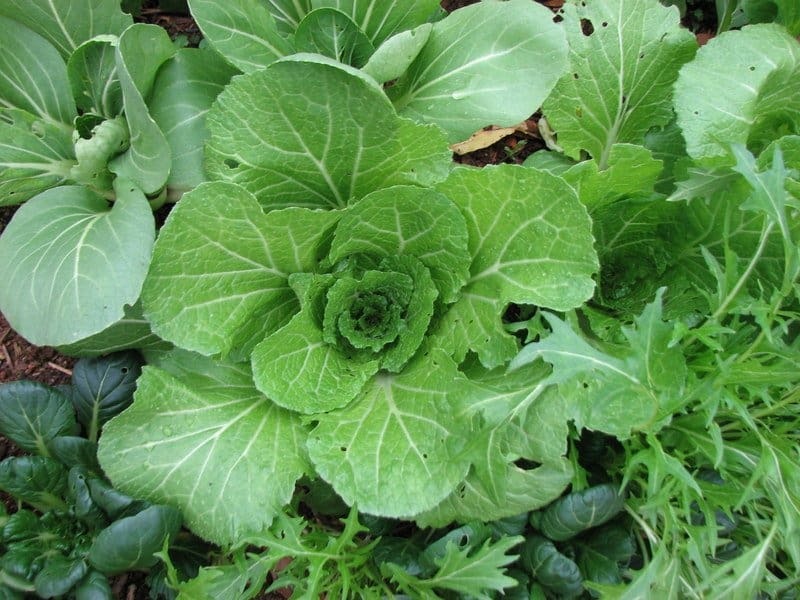 Cut the leaf and leaf stem off of the plant immediately as close to the main stem of the plant as possible. Then make sure you bring swift and brutal punishment to the small white squash vine borer larvae munching inside. Most summer squash varieties are very susceptible to vine borers. However, there are other types of squash you can grow whose tough, thick stems are not nearly as susceptible to squash vine borers. Squash in the Cucurbita moschata family are especially resistant. These include Butternuts and our personal favorite Tromboncinos, a vigorous Italian heirloom that can be eaten early as a summer squash or allowed to grow huge to be stored as a winter squash. If you grow Tromboncinos, be sure you have a lot of gardening space and, ideally, a fence or large, sturdy trellis they can climb on. Photo: The Tyrant checking out some of her Tromboncino Squash growing over the duck village at Tyrant Farms. Lets say you find an obvious entry hole on the stem of your squash plant with frass around it, but your squash plant still appears to be healthy. Break out the surgical tools and play doctor! A box cutter and a pair of tweezers will do the trick. Make a straight incision down the stem of the plant (not across the stem which would sever it) where the hole is located. Cut as little as you have to until you spot the culprit, or culprits if there is more than one (they’re white grubs with a black head). 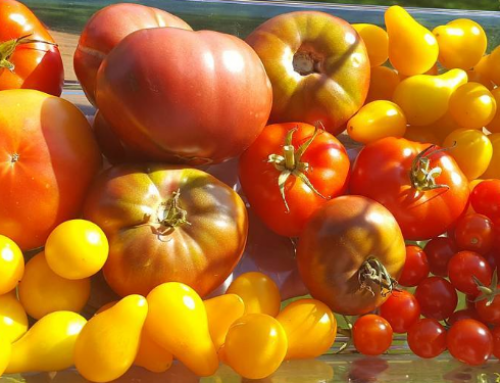 Remove them with tweezers and dispose of them (our ducks consider squash vine borer larvae and tomato hornworms to be summer delicacies).Then cover the affected area with mulch. As you may have noticed, squash blossoms are yellow. As such, squash vine borer moths are highly attracted to the color yellow. Many gardeners/farmers have luck trapping and drowning squash vine borers by placing a yellow bowl full of water in the garden. The color attracts the moths to the bowl, they get trapped in the water, soon drowning. This method isn’t 100% effective but its a good way to control the moth’s populations and determine when and if the moths are out. In our area, we have two waves of moths-one in late spring/early summer and another wave in August. Want to be 100% sure no squash vine borers get to your plants (unless they happened to overwinter in the soil where you’re planting)? Use row cover. It’s a lightweight fabric that lets sun, water, and air in, but keeps insects out. The brand we recommend is Agribon and you can get it here for the price of a few grocery store squash. The downside of row cover? It also keeps pollinators out which means you’ll need to go outside with a q-tip (or tiny paint brush) in the morning to pollinate your squash plants by hand. Using your q-tip, collect pollen from your male flowers (the ones that don’t appear to have tiny fruit at the base of the flower) and rub the pollen on the stigma of the female flowers (the ones that have miniature versions of the fruit at the base of the flower). Then cover your plants back up. Wrapping the stems of your squash plants in aluminum foil. Maybe if you’re only growing a small number of squash plants, this method is worth a try. However, we grow lots of squash plants and our plants have so many leaves and stems, that effectively wrapping each plant would take a week and make our yard look like a metal welder was using it as an abstract art exhibit. Even then, there would still be sections of the plants exposed to borers. Spraying your plants with harmful synthetic pesticides. This makes as much sense to us as smoking cigarettes while jogging. 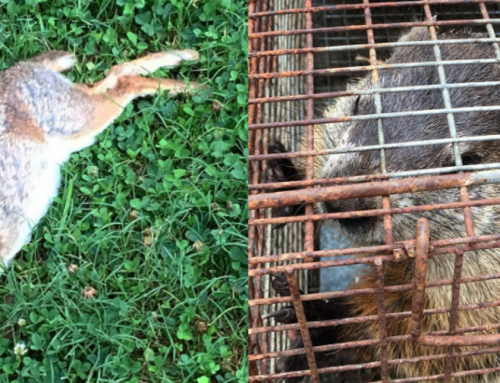 If you feel you have to resort to using pesticides that are well-documented to cause harm to a wide range of insect, bird, and amphibian species while also being harmful to humans and pets, then please grow something else or purchase squash from local, organic farmers. It’s just not worth it. We hope this helps you have a wonderful squash growing season! If you have a potential question of the week, please get in touch to let us know. Thanks for your question, Matt! I live in eastern California where almost everyone give up on squash due to the hundreds of squash bugs that invade every patch. This will be my last year, it’s simply too much time every single morning to search every leaf and the ground to squish those miserable stinky bugs. 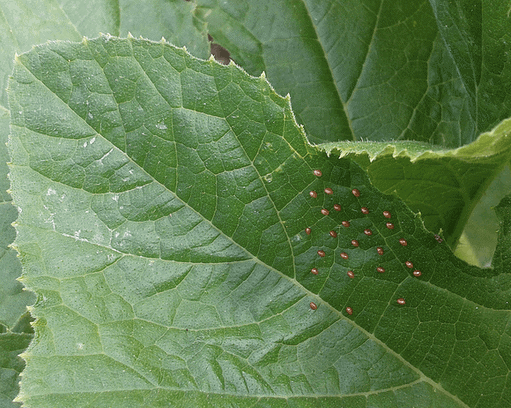 I noticed this article mentioned that we do not have the borers out west, but this morning I destroyed some very similar looking eggs on a leaf and was wondering at the time what they were. Sue: Don’t give up yet! Squash bugs (in the shield bug family) can be pretty easily deterred with neem oil spray. Their eggs look very similar to vine borer eggs – tiny, round and copper-colored. The difference is vine borers will often only lay one egg on a spot or if they lay multiple eggs, the eggs won’t be clustered as closely together as squash bug eggs are. Sue: Sorry to hear that you’re having so much trouble with squash bugs! Those are different than squash vine borers. It sounds like you might want to try using floating row cover and hand-pollinating your female squash flowers so you get pollination. I had the borers last year. I read somewhere about planting a few white icicle radishes among your squash and just leave them to grow, that this would deter the moths and their larvae … so far havent had a problem this year in N Alabama. Toni: Thanks for the reminder! That’s a great tip, especially for smaller bush squash varieties. The only problem is that many of our squash varieties that are susceptible to borers run/crawl along the ground, so it’s difficult if not impossible to grow radishes along the full length of the plants. What kind of mulch? Wood chips, grass…. Our personal favorite is wood chips, since they break down slowly and don’t blow away. But grass, straw, pinestraw, etc work fine too. This is my second year growing squash. Last year my plant grew big but it didn’t yield any squash. My plant was riddled with vine borers. It was so bad I had to get rid of it. This year it seems like something is taking the nutrients. The leaves are turning yellow. I noticed 3 bugs on the top of the leaf where the stem meets. They almost resembled a spider…they were brown and had 6 legs. Does anyone know what these are and how to deter them? It sounds like you’re describing squash bugs and/or squash bug nymphs. These are quite common. They’re sap-sucking insects that can really take a lot of energy out of your squash plants if they proliferate. 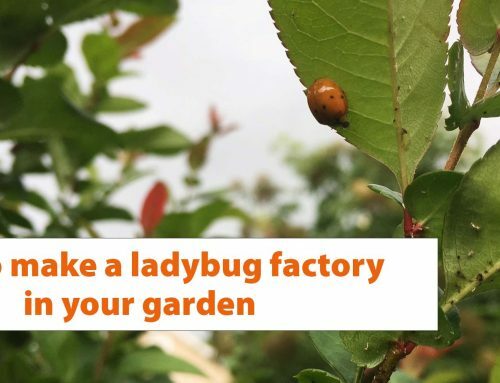 We usually just: a) remove them by hand and drop them in a bowl of soapy water, and b) keep an eye out for their eggs on the top and bottoms of the leaves (the eggs look like clusters of tiny copper beads) – remove the eggs immediately by hand too. You’ll usually see bunches of the nymphs on the undersides of the leaves after they’ve hatched. The adults tend to stay closer to the ground on the undersides of the stems – if you gently lift up your plants, you’ll likely see pairs of the adults on the bottom side of the main stem, if you have an infestation. Once you get rid of the adults, no more eggs or nymphs. If you’re not comfortable with insects, you can also use an OMRI listed/organic insecticide like spinosad (http://amzn.to/2rACq3n). 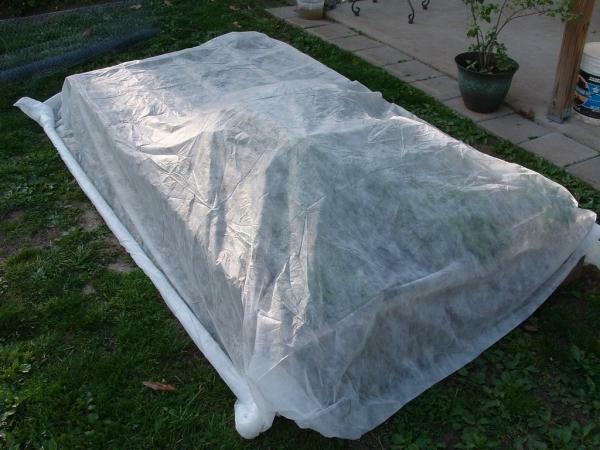 Another option is to start the season out using a small row cover so that squash vine borers and squash bugs can’t get to your plants to start with – the only challenge there is making sure you remember to pollinate the flowers by hand since pollinators can’t get to the plants either. One other thing to note is that squash form male and female flowers. To get fruit set, you’ll need to have a male flower blooming at the same time as your female flower(s) are blooming. That’s usually not a problem if you have multiple plants, but it could be a challenge for you if you only have one squash plant growing. Hope that helps and please let me know if you have any other questions! Hi, Aaron. This article was greatly helpful. Thank you for putting it together. I even put “yellow bowls” on my mental shopping list until I went on to read that we don’t have Squash Vine Borers here in Oregon. I do have one question. You mentioned in the introduction that many gardeners mistake the adult SVB as some type of wasp, but then, in the Number 2 “Mulch the Stems”, you actually referred to it as a wasp. Was that a slip of the pen? Or am I failing to understand your meaning? Great catch, thanks Jo! I’ve probably read this article 5 times and didn’t catch that error. It’s now corrected, so thanks again! I lost so many zucchini and cucumber plants last year it wasn’t funny. I got so mad I got my son’s propane torch out and burned the eggs on the leaf and then found the squash bug and burned her too. A few leap hoppers got in the way so they went too, lol… This year I got some serious stuff to spray the garden with an over 50 million nematodes. I had a beautiful honeydew seedlings and they were all dying one by one. Those were the fungus gnats I think because they were too small, but we did find little white worms in them with black heads. We tilled the soil and got rid of any rotting plants from last year (I don’t do that, my neighbor does) and starting fresh, and we are getting a truck load of new topsoil too. So I hope this Pyganic and the nematodes will help but I will also be putting tin foil on the stems. I also read where you can put rhubarb leaves wrapped around the base of your zucchini. This worked for the seedlings. I am trying everything I can to get some zucchini, cucumbers and honeydew this year, even the propane torch, lol…. 2) since pollinators will also be blocked out, you’ll need to go out in the morning and hand-pollinate the plants with a paintbrush or q-tip, otherwise you won’t get fruit set. My zucchini plants look healthy but all the squash get soft at about 2-3 inches long and turn from dark green to light green to yellow and then brown. They rot. I wasn’t sure if this was due to incomplete pollination, too much or too little water, or squash vine borer. I placed tinfoil on all the stems early in the season and haven’t seen any fras at the base. Any ideas what’s going on? Thanks. Fawn, sounds like your female flowers aren’t getting pollinated. When that happens, the fruit fails to mature after the flower falls off and soon shrivels and rots. If you don’t have pollinators (native bees, wasps, honeybees, etc), then you may need to hand-pollinate the zucchini yourself using something like a q-tip or a paint brush. 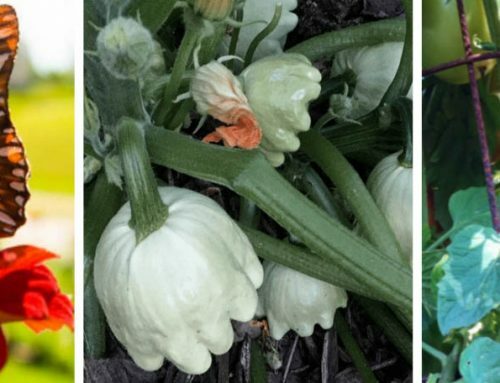 Take pollen from a male flower (the ones that don’t have tiny zucchinis at the base of them) and rub it on the stigma of your open female squash flowers (the flowers with a small zucchini at the base). Once pollinated, you should get mature zucchini. Does planting Marigolds help with the moths themselves coming around? Hi Chip! We have not found that to be the case nor are we aware of any research indicating as such. Thanks for your feedback. Glad to hear you had success getting squash and catching your squash vine borers before they became a problem!